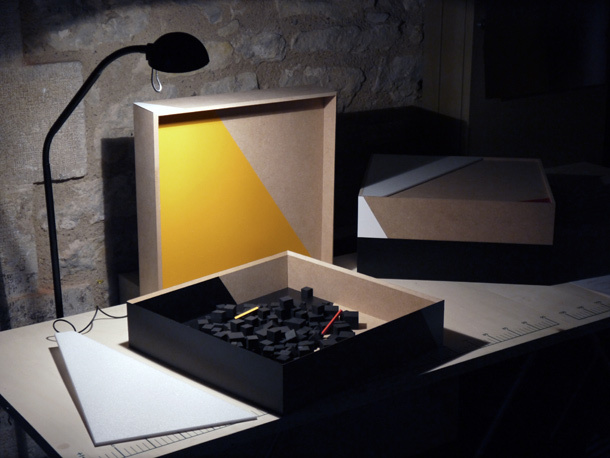 Hum is an edition of 6 boxes. Their shapes are almost identical but each one has a distinct sound. They were built in ignorance of their future context, but are nonetheless thought as objects or instruments to be played, used and installed somewhere, in a given space with its inherent acoustics properties. 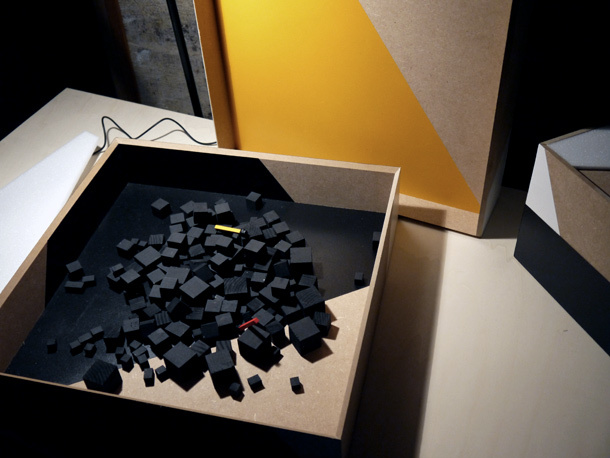 Each box contains the electronics and the sound transducers in its removable lid and a set of black objects in the lower part of the box. 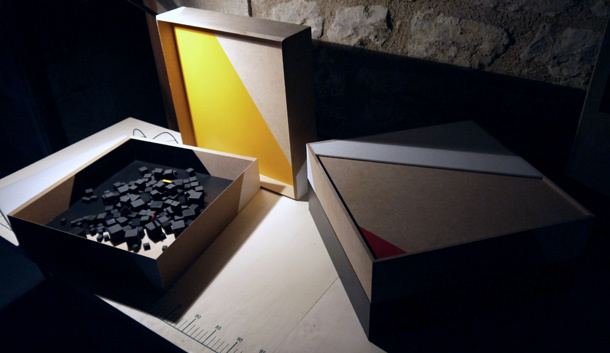 The sound is radiating from the inside of the lid and also by means of an external transducer, wired to the box. It will only be audible if ones chooses an object or a flat surface and try (by ear) to activate it with the transducer. This multiple is produced and distributed by Untitled.